The chance to go to college for free is worth celebrating. On Wednesday, May 2, students who committed to Dallas County Promise, which gives them the opportunity to earn full-tuition scholarships to any Dallas County Community College District (DCCCD) school, were also celebrated. The event, at W.H. Adamson High School, started with a pep rally. Graduating seniors at Adamson who made post-graduation decisions to attend colleges or enlist in the military were honored. 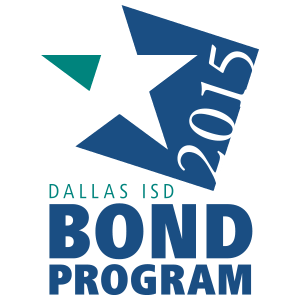 Then, students using the Dallas County Promise to attend a DCCCD schools were recognized. Biden, herself a community college professor, highlighted the importance of college. After her remarks, she visited with ninth-graders attending the Adamson Collegiate Academy. Dallas ISD early college high schools offer students the chance to earn their diplomas and an associates degree simultaneously. Biden called the district’s program another incredible opportunity for students. In its first year, Dallas County Promise drew 9,300 students in Dallas ISD and other districts in the county – 80 percent of them classified as economically disadvantaged. In addition to paying for tuition, the program connects students with mentors and can lead to scholarships at partnering four-year institutions, currently SMU and UNT Dallas. Next year, in addition to the 23 Dallas ISD high schools that are part of Dallas County Promise, Skyline and Woodrow Wilson high school students may also pledge to receive free DCCCD tuition.